Don’t even ask me how to say his name. Fr. Leo’s good enough for me, though if you want to get technical, it’s Fr. Leo Patalinghug. What’s more important is this guy can cook. I mean, really cook. And I know, because he cooked for me on Friday night. Well, me and a room full of others from throughout the Diocese of Fargo. The main dish? 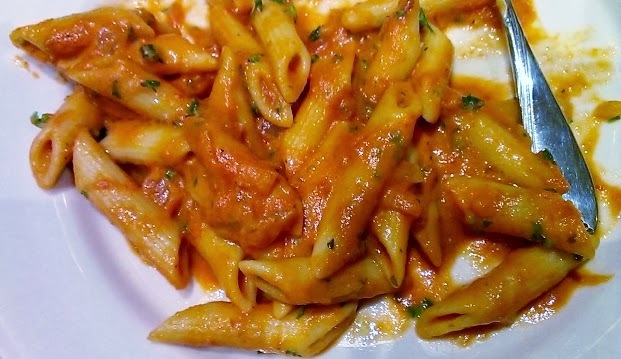 Penne ala vodka. Amazing! I’d recently been exposed to Fr. 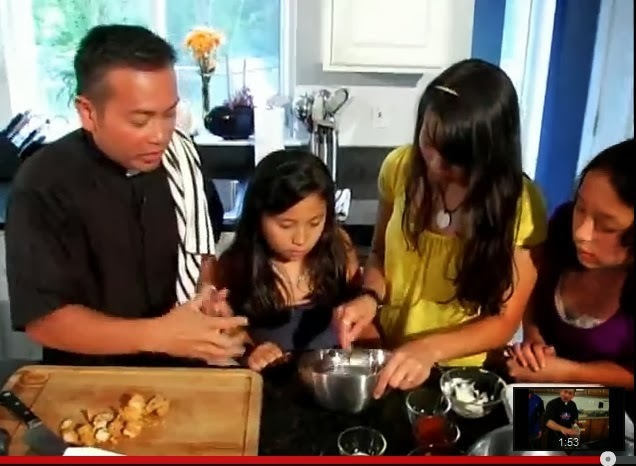 Leo and his masterful theology/cooking gig while watching EWTN television. I love it when Christians are joyful about their faith, when they can show the love of Christ simply by who they are and the ways they move about the world. For anyone who has seen Fr. Leo, he’s got quite a spark, and a million pounds of energy all wrapped up into one small Filipino body. He’s also obviously in love with Christ and the Church. Fr. Leo brings these things together through his program, “Grace Before Meals,” a movement he spreads through television, books and his presence in the public. His aim? To call families back to the dinner table in order to enliven the faith life and our relationship with God and one another. “That’s where the best conversations happen, while someone’s chopping up vegetables and I’m stir-frying this or that,” he says in this video, which will give you a good taste of what this guy is all about. Another moment in the video shows Fr. Leo trying to get an adolescent to try something he’s whipped up. “Try this, just a little piece. I promise you it won’t kill you and if you do die, I can do your funeral,” he says to convince the teen. Obviously, Fr. Leo is not only faithful and a fantastic cook, but he’s also funny. Having him in our diocese, in our parish actually just steps from where our youngest child was baptized, was a wonderful blessing on a rainy, chilly Friday night. My husband was away on business, so I went without a date but truly enjoyed the people who showed up at my table and ate and laughed through the evening with me. I wanted to bring a little of Fr. 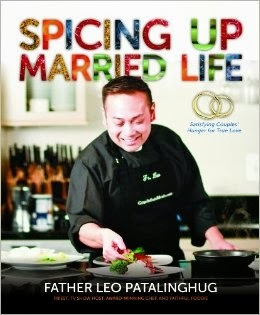 Leo’s presentation home with me, so I stopped in his book line afterward and picked up one of his latest, “Spicing Up Married Life,” and had him sign it to my husband. 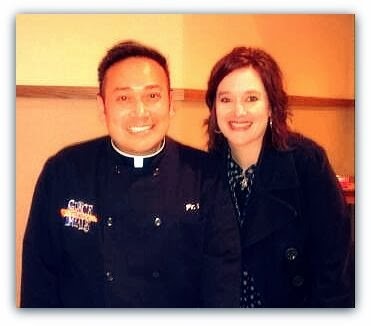 “It’s amazing how good food can soften people’s hearts and minds,” Fr. Leo told us as one of the main reasons he’s doing what he’s doing. He also shared some of the back story of how his “Grace Before Meals” program started. It wasn’t his idea; it came from beyond him and he was very reluctant at first. But in the end, he acquiesced and the program has been a terrifically tasty success. I thought about the funeral I attended a few weekends back, and how very true this is. The warm soup and food I enjoyed with my mother, friends and strangers after my friend was laid to rest was truly healing for my body and soul. 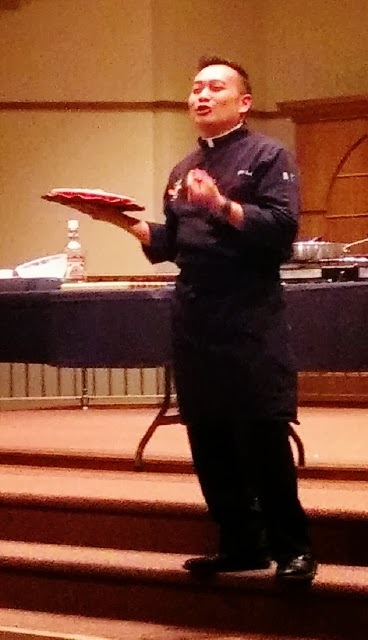 There’s so much to this food thing, so much to explore about how God uses tangible, earthly things like food to reach us, to love us, to connect with us. 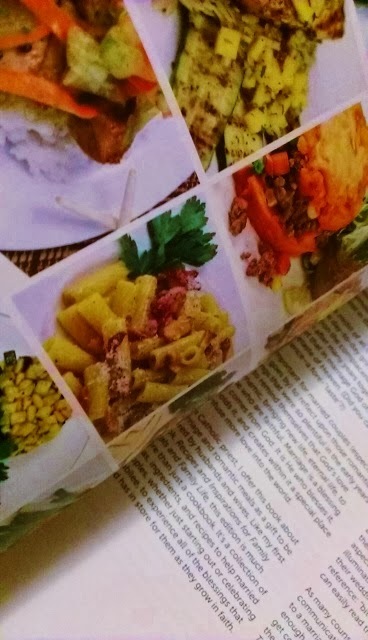 I’m inspired, to try some of these recipes, to read this book with my husband and in that way, share a bit of the experience he missed tonight, and to think anew about the lengths God will go to reach us. The way to the hearts of God’s children is through their stomachs, it seems. Tonight, I have been fed. Now it’s my turn to feed another.